Editor’s Note: The Blogging Resources have been moved over www.marriedtoyourbusiness.com where we dive into all the behind the scenes of our online business and how we generated over $150k this year. We spend A LOT of time doing research for various products we’d like to buy or to add to our wish list, recipes we’d like to try, photos we’d like to take, software we’d like to use, etc. Then, we spend our energy, time and money on all those things. In doing this, we have learned what works and what doesn’t. So, we thought it would be helpful to create a resource page for all food bloggers so that you can come to for all your food blogging needs. We’ll add to it as we inevitably learn more and more, so stay tuned for updates. FYI, we are an affiliate of some of the below links. However, all these suggestions are based on our experience and extensive research. Nikon D610: This is the new Camera that Lacey just got. She started with the Nikon D60 and moved up to this one. She loves the feel of it and it has improved her photos tremendously. If you’re looking to up your photographic capabilities and are no longer a beginner, this is a great camera. Nikon 50mm Lens: Lacey has always struggled with lighting and focus in her shots. This fixed lens fixed so many of her issues that she doesn’t even have to worry about it anymore. This is one great camera lens for shooting food photography and portraits alike. Highly recommend! Nikon D60: This is the camera Lacey used to start photographing food, little ones and our life way back before she started the blog. It is a great DSLR. We happen to be partial to Nikons, but Canons are really good DSLRs as well. The Nikon D60 is a user- friendly, starter DSLR and is easy to get the hang of. Dustin now uses this camera since Lacey has the D610. :). Nikon 55-200mm Nikkor Lens: No, this is not a crazy expensive, phenomenal lens Lacey bought especially for food photography. Rather, this is the lens that came with her Nikon D60. For coming with the camera and for being a relatively inexpensive telephoto zoom lens, this lens is pretty darn good. This is the lens she used to use for her food shots but has been replaced by the fixed 50mm lens (mentioned above). 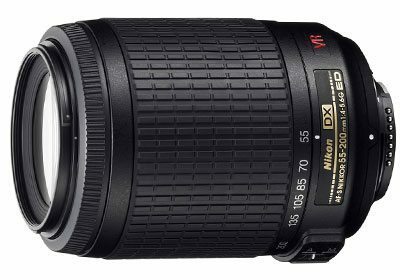 Nikon 18-55mm Nikkor Lens: This is the lens we can use to get a nice close, but not too close, shot of food. This is another good deal of a lens, as it doesn’t cost an arm and a leg to own. 32 GB Memory Card: Having a good memory card is a must for any photographer. In the Nikon D610, you can actually store two memory cards. We usually keep a few of memory cards handy as back ups just in case we fill up. When choosing one of these, you want one with a good read/write speed as well for faster shot to shot performance. This is super useful when shooting as many photos as Lacey does and wanting to keep as high res as possible. Replacement Battery: It’s always handy to have an extra battery when on a photo shoot. The last thing you want is to run out of battery. Before we got this it was super annoying to start a photo shoot and then realize the camera wasn’t charged. It is never a problem anymore thanks to this guy. Adobe Photoshop Lightroom 5: Lightroom is an essential photo editing tool for any photographer at any skill level. It’s used by professionals and amateurs alike and is one amazingly powerful tool. You can do all the basic editing functions like cropping, changing from color to black and white, enhancing colors, etc. PLUS you can add watermarks, change your white balance, hues and saturation levels, fix blemishes, organize your photos and so, so much more. It is definitely worth the money. WPEngine: ASPC is currently hosted on WPEngine and we highly recommend them. Their customer service is great and they help out with things like security and speed optimization etc… They are experts in all things WordPress. This is a really good hands-off approach (i.e. no messing around with cpanel, etc.). Genesis Framework:This is a great framework. We moved from thesis to genesis awhile back and couldn’t be happier. It is a little cheaper than thesis and provides a lot of great functionality. Genesis is customizable and fast, helps with SEO, has responsive design which helps with different devices, browsers and sizes of monitors so you user gets the best experience. When you get genesis it is $59.95 and you will need to get a child theme like Foodie Pro. Foodie Theme: This is a great theme. We moved from thesis to genesis awhile back and I customized this theme when we did. It works real well with a food blog and allows you to have recipe archives and display images of your recipe posts real easy. It’s the number #1 selling theme on genesis lately and has a lot of flexibility so you can totally make it your own. 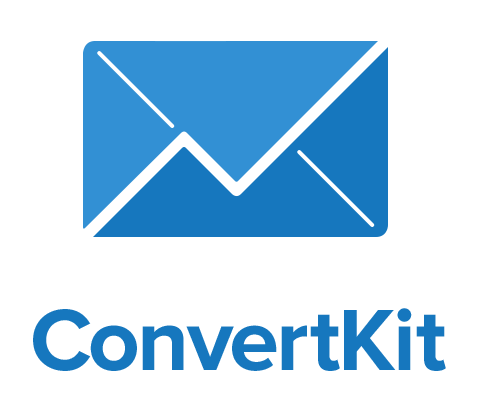 CONVERTKIT: I’m so stoked that ConvertKit came out. Thank you Nathan Berry! I used to read Nathan’s stuff on UI while doing software coding. When I found out he was making convertkit better and better and allows me to do easily all the stuff I couldn’t do I was so excited. I even wrote a post for ASPC on why convertkit is so awesome. Market Samurai: We have used Market Samurai for a few years its great for finding ideas for posts, titles of posts and the level of SEO competition of certain keywords. Keep your eye our for future tips on SEO and Market Samurai tutorials. How To Start A Food Blog: This is the series we have been working on for How To Start A Food Blog. We start with the basics of setting up a food blog. Food Blogger Pro: This is a great community no matter what your current food blog status is. If you are just getting started, have 100,000’s of visitors a month like us or millions like pinch of yum. We joined food blogger pro for it’s great community but they also have some videos that help get you started on your own food blog. This is a good place if you aren’t sure where to get started or want some feedback on your site or photos or just to have a place to share your progress and network on new projects. Here is a list of the sites I use to generate traffic to our food blog. Most are food photo submission sites. There are tons of food submission sites out there. The ones listed here are just the ones that I submit to, pin or share with. It can take some time to go through the process of entering a submission although if you create a process to submit these it becomes easier. However the benefits are great for this. It’s not uncommon to see 1,000 – 1,500 people visit your blog in a day if you get a submission featured on the right site at the right time. Also creating more content and getting it in front of more eyes helps grow your brand and get more backlinks and social shares too. Food Blogging Seo – Everything you need to know about Food Bogging SEO and how to take action to generate more SEO traffic. Plus how we use SEO to generate over 150,000 visits and 200,000 pageviews to our site monthly. WordPress: This is the #1 Blog publishing platform. WordPress is free (which is awesome) and is easily customizable. I have also been told they have wonderful support, but I have yet to need any. My blog uses WordPress. Google Analytics: Google provides a FREE website tracking and analytical tool. This program is wonderful and extremely useful for anyone with a website. Google Analytics allows you to track and monitor traffic to your site, bounce rate, length of time visitors stay on your site, and much more. It’s pretty awesome. Though, if you’re anything like me, you will obsessively check your data.